This truck's driver kept going throughout the streets of Philly even after hitting an overpass and knocking off the roof of the vehicle. Drivers make mistakes without noticing them all the time. Many have placed a coffee cup on top of the car and sped away, left their trunk open, or forgotten to screw the gas lid back on. Stuff happens. However, it's hard to find a legitimate excuse for the truck driver who knocked the entire roof off his tractor trailer and continued driving through Philadelphia late Monday night. 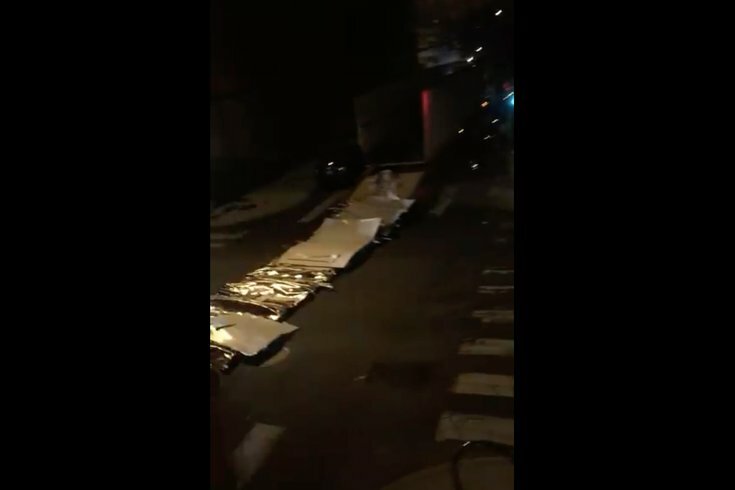 Videos from residents in one South Philly neighborhood show the truck casually making its way along narrow city streets with its destroyed roof following the vehicle like a tail. The noise of metal-to-pavement was deafening. Police told 6ABC the truck hit an overpass at 12th and Callowhill around 10 p.m. and continued driving for at least three miles — three! — before being stopped at 21st Street and Point Breeze Avenue. No charges have been filed against the driver, and police are checking along the truck's route to see if any cars were damaged.